Are you wondering how to start a small business website? These days anyone can easily create their own small business website, all on their own, in just a few hours. With the right tools and a few tips, you can easily create a stunning website for your small business that’ll get you more customers. In this article, we’ll show you, step-by-step, how to make a small business website. Now, let’s get started on building your small business website. There are many platforms available that will help you start a small business website, so many that it might leave you feeling overwhelmed. While it’s tempting to choose a free platform, it isn’t the best choice for your business. With a free platform, you won’t be able to get your own business domain. 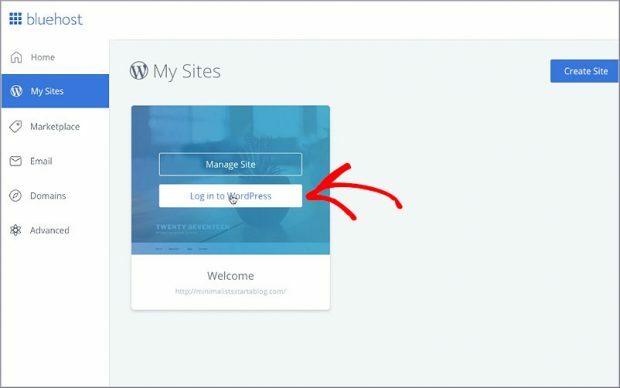 Instead of having a professional-looking URL like www.mybusiness.com, you’ll have to use the platform’s URL — www.freeplatform.com/mybusiness — which doesn’t look as professional. A free platform will also display unwanted ads on your website which doesn’t give a good first impression either. That’s why we recommend using WordPress. WordPress is the most popular website builder in the world. It powers 31 percent of all websites on the web. WordPress comes with a ton of built-in features that’ll help you easily build a website without knowing a thing about code. 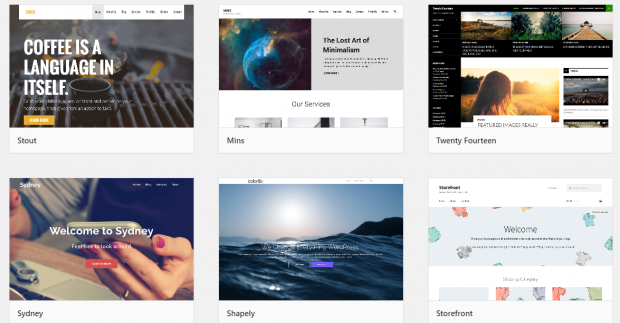 You’ll also get access to a ton of themes to make your website look beautiful and plugins to help improve your site. It’s important to note that there are 2 different types of WordPress. One is WordPress.com and the other is WordPress.org. WordPress.com is a hosted solution, while WordPress.org is a self-hosted solution. We recommend choosing WordPress.org because it’ll give you access to all the WordPress features you need. But, with WordPress.com, you’d have to upgrade your plan to get access to the features. For more information on the differences, you can read WordPress.com vs. WordPress.org. After choosing WordPress.org for your platform, the next step is to choose a domain name. A domain name is your website’s address on the internet. Your domain name is what users will type into their web browser in order to visit your site. For example, our domain is www.nameboy.com. So, you need to pick a domain name for your small business website. It’s important to take the time to choose a good domain name for your site. To help you come up with a great domain name for your small business website, you can use our handy tool. Nameboy is the oldest and most popular domain name generator in the world. Enter your keyword(s) into the search box, click the Submit button, and Nameboy will give you a bunch of unique domain name ideas for your website. Take a look at this example below. 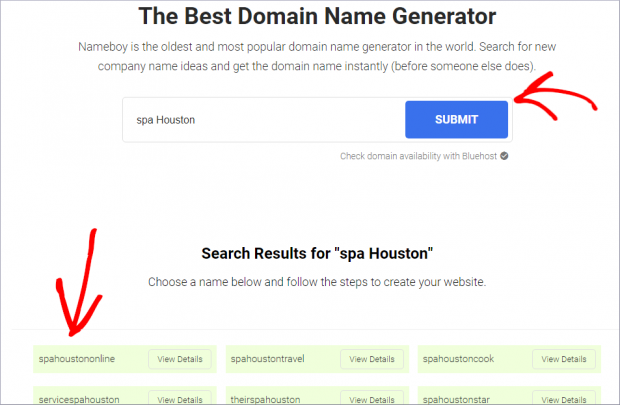 We entered the keywords “spa” and “Houston”, pressed the Submit button, and the Nameboy generator returned multiple domain name ideas. Once you get the results, you can choose which domain name is best for your business. 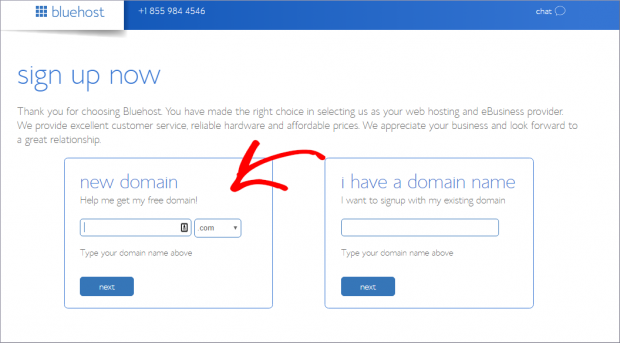 Nameboy also allows you to check if your domain name is available by clicking the Check domain availability with Bluehost link below the Submit button. Speaking of Bluehost, the next step is to choose your website hosting platform. Let’s dive in. This step is where you’ll put steps 1 and 2 into action. After you’ve decided on the WordPress.org platform and chosen a domain name, now you’ll need WordPress hosting. A web host is the business that provides the technologies and services a website needs to be viewed on the internet. We recommend using Bluehost to set up your small business website. Bluehost is the best hosting service out there and offers 1-click WordPress install. Not only that, but Nameboy users get an exclusive discount and a FREE domain name. Normally with Bluehost, a domain name costs $14.99 per year and web hosting plans start out at $7.99 per month. But Nameboy users can buy a web hosting plan for only $2.74 per month (that’s a savings of 60%) and get a domain name for free. 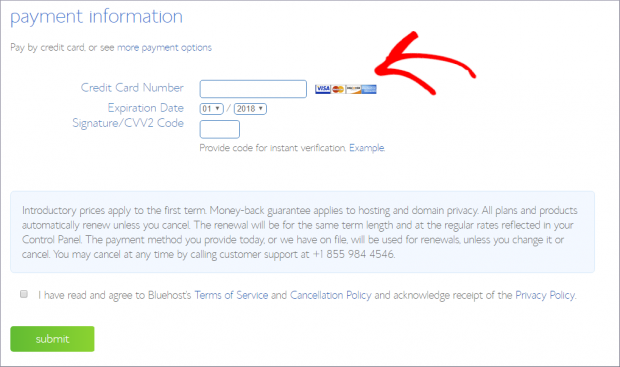 To access this awesome deal, click on our link to the Bluehost website and click on the Get Started Now button. Next, you’ll be asked to select your plan. On this page you’ll see the different options for website hosting plans and their prices. Each of the plans include a free domain and SSL certificate. 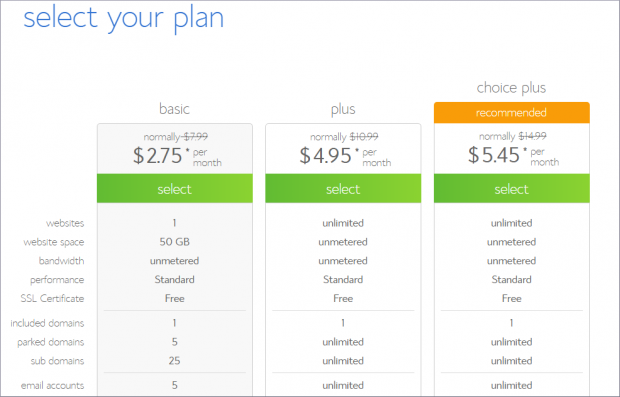 For new websites, we recommend choosing the basic plan. As your website and your business grows, you can upgrade your plan as needed. Click the Select button to continue. The next step is where the domain name you chose earlier is needed. Go to the New Domain section on the page and type in the domain name you chose for your small business website. Then click the blue Next button. If your domain name is not available, it will give you a few alternative options to choose from. Enter a new domain and then click Next. Now you’ll create your account. Here you’ll fill in all your information like your name and address. 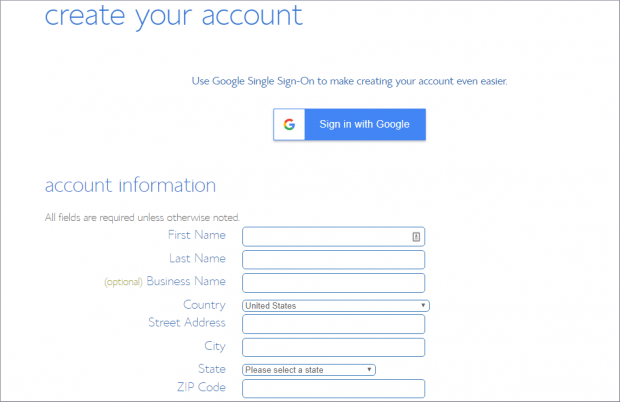 Or you can sign in with your Google account for a quick signup. In the Package Extras section, you can see a number of packages that Bluehost automatically includes with your purchase. If you don’t wish to add these packages to your account, simply uncheck the checked boxes. You can always add these packages later on from your hosting dashboard if you choose to uncheck them. Then as you scroll down, you’ll see the payment section. Now is the time to enter your credit card information to complete the payment. After entering in your credit card info, press the Submit button. That’s it! Bluehost will send you an email with a link to access your hosting account. Get Started with Bluehost Today! Now it’s time to install our platform of choice, WordPress, that we talked about in Step 1. 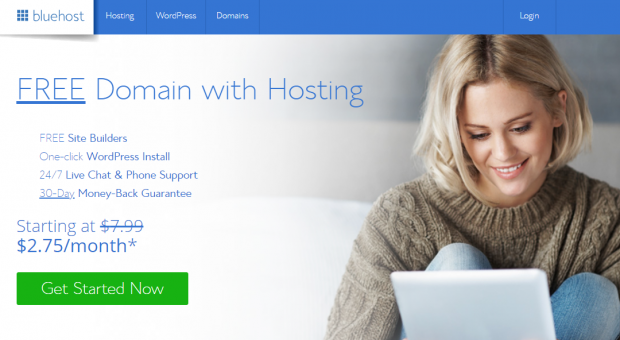 Bluehost makes it super simple to install WordPress. 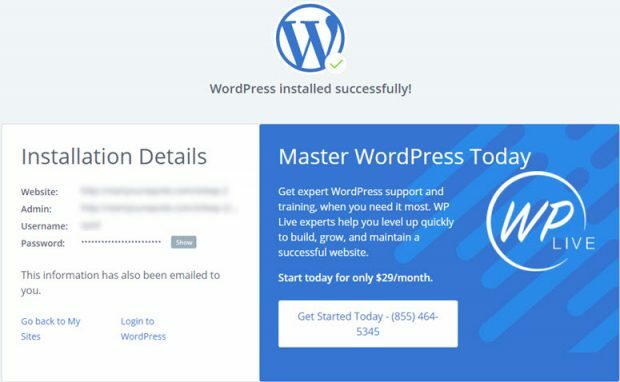 You don’t have to go through any complicated process to install WordPress. Bluehost will automatically install WordPress for you and you can login to your WordPress site directly from your Bluehost dashboard. 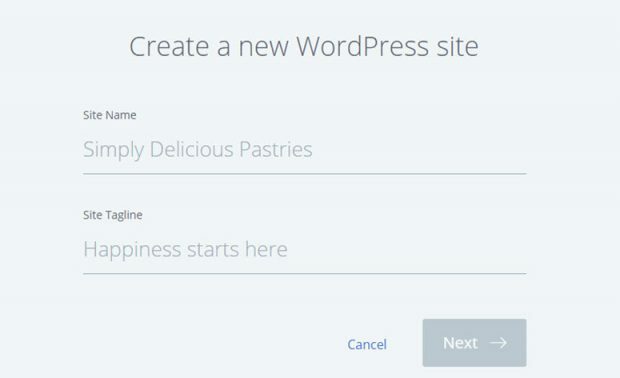 Bluehost will prompt you to choose a WordPress theme to get started. Don’t worry too much about finding the perfect theme for your business right now. This step is just to get you started on building your website and you can change your theme later, which we’ll show you how to do in the next step. After you pick a theme, you’ll be asked to name your website and choose a tagline (a tagline is like your company motto). After entering your details, Bluehost will then automatically install WordPress for you. Once it’s installed, you’ll see a screen like this. You can then login to your WordPress site by clicking on My Sites in your Bluehost dashboard. Then clicking the Login to WordPress button. Now it’s time to choose a theme for your small business site that really fits your business. After you’ve logged in to your WordPress site, you’ll see the WordPress dashboard. On the left side of your screen, click on the Appearance button, then on Themes. This will open up the themes page. Then click on the Add New button. 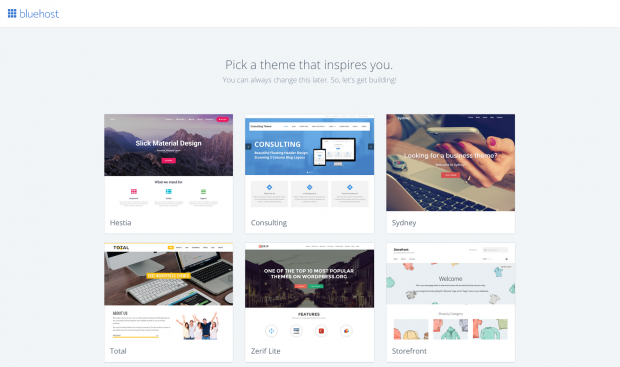 Now you can browse all of the free and paid themes that are available for WordPress. 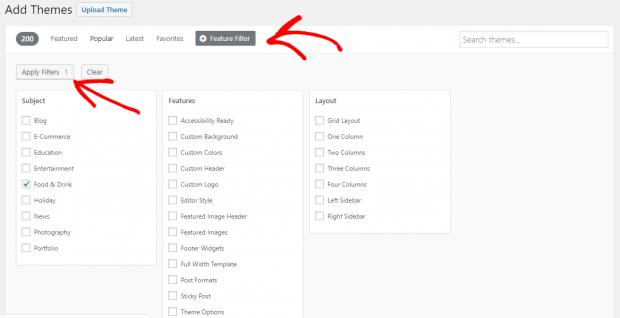 You can also use the Feature Filter to help you find exactly what you’re looking for. For example, if you’re a restaurant, click on the Feature Filter tab, and then check the box for “Food and Drink”. Click the Apply Filters button. WordPress will show you all of the best themes for food and drink businesses. Pick a theme that’s best for your business and hover over the image. Click on the Install button. Next click the Activate button to install the theme to your website. Now it’s time to start building your small business website. After you’ve finished installing your new WordPress theme, you’ve got to start building your website pages. Your small business site should be simple and follow the standard business page layout. Home page — This is the welcome page of your website. It’s usually the first page users will see when they visit your website. Include an short overview of what you do and a call-to-action that leads to your services/products page or contact page. About page — Your About page should tell your potential customers about who’s behind the business and why they should pick you. Write down why you do what you do, your experience in the industry, and your values. Services/Products page — Your Services/Product page is where you should list the services or products that your business offers. Add a heading for each service/product and include a short description. You can also list prices if you like, or let visitors know to contact you for a price. Contact page — This page allows potential customers to contact you. You need to add a contact form to this page so users can easily contact you, which we’ll talk more about in Step 7. You can also add your business phone number and address to this page. We also recommend that you start a blog for your website, but you can wait until later to create it. 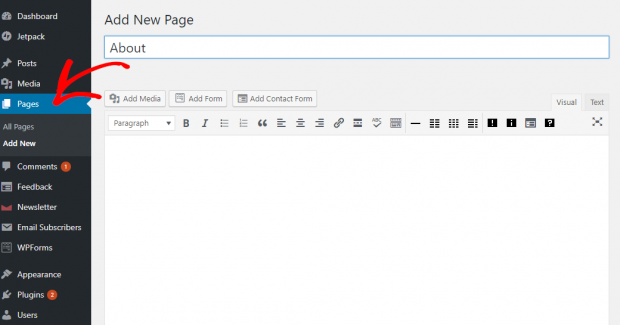 To create your first page, go to Pages » Add New. Here you can write the title for the page, for example “About”, and write the body of the page in the text area below. You can also add images to the page as well by clicking the Add Media button. Don’t worry too much about completing your pages with all of the information now. You can go back and add additional info at any time. Follow this step again to create each new page for your website. Once each page of your website is fully created, you can press the Publish button in the right corner of each page to make it live and visible on your website. WordPress comes with access to thousands of plugins (apps) to improve your small business website. You can download a number of plugins to get added features to your site like contact forms, galleries, analytics, and more. WPForms Lite — With WPForms you can add a stylish contact form to your site in minutes with their drag and drop contact form builder. WPForms Lite is an awesome free version, but if you want more features, you can upgrade your plan with WPForms. For more detailed instructions on how to add a contact form to your website, check out our tutorial. Yoast SEO — This plugin will help you improve the search engine optimization (SEO) of your website to get more traffic. For more WordPress plugins that will improve your SEO, take a look at our article for 8 WordPress Plugins to Step Up Your SEO Game. MonsterInsights — With MonsterInsights you can track the amount of visitors to your site using Google Analytics. Akismet — Prevent spam comments on your site with this anti-spam plugin. WP Super Cache — It’s important that your website loads quickly. This plugin speeds up your website by adding cache. Sucuri — This free plugin will scan your website for malware. UpdraftPlus– A free WordPress backup plugin. Bonus: To start growing your website and your email list, we recommend OptinMonster. Their lead generation software will help you capture the information of users so you can turn them into customers. To install a new plugin, go to Plugins » Add New. You can browse popular and recommended plugins or type in the name of a plugin in the search bar in the right corner. Once you find the plugin you’re looking for, click the Install Now button. 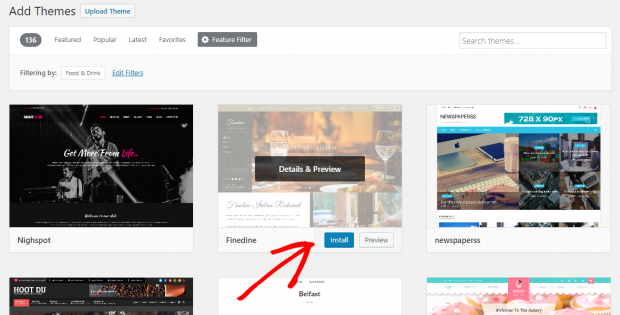 WordPress will now download and install the plugin for you. After the plugin is installed, the Install Now button you just clicked will change into an Activate button. Even if you install a plugin, it won’t work if you don’t activate it. So, click the Activate button now. Repeat this step for all of the WordPress plugins you want to download. We hope you enjoyed learning how to start a small business website. Now you’re well on your way to boosting sales for your company with your new professional site. To grow your business even more, check out our article on the 10 Best Email Marketing Software to Grow Your Business. For more tips and advice on building a website, keep following our blog!